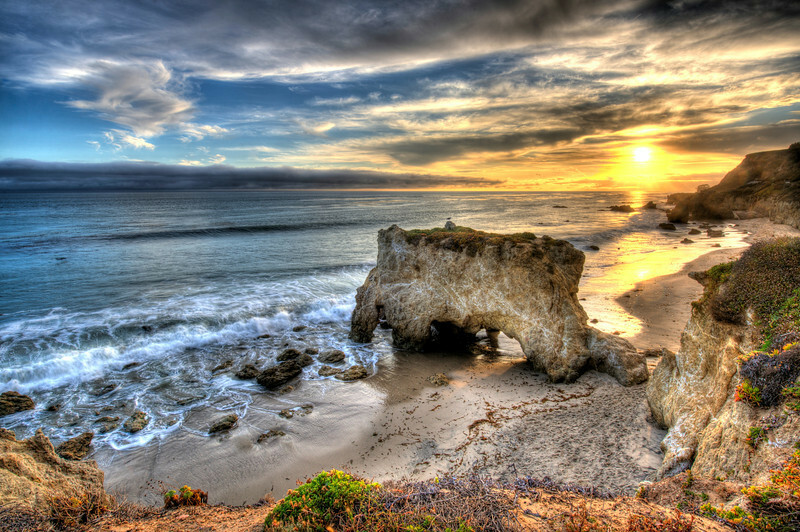 HDR Sunset over El Matador Beach in Malibu shot with the Nikon D3X and 14-24 mm wide-angle Nikkor Lens. Love the seagull on the rock in the middle! Dramatic skies as the rain clouds break! A most scenic landscape / seascape exalting southern california's natural beauty! It was shot with Nikon's best D3X with the 14-24mm wide-angle Nikkor lens. 7 exposures were taken at 1 EV intervals, and combined in photomatix to bring out the shadows and highlights. A rather large HDR (high dynamic range) photo--you can see great detail both near and far!